Macy’s, Inc. has announced it will implement iBeacon technology in 4,000 of their department stores nationwide. With this technology Macy’s will soon be able to personalize the shopping experience for its customers in real time. The company will place mobile-location based devices in its department stores to deliver personalized discounts, product recommendations, and rewards to shoppers via their smartphones. The technology will be implemented in early Fall 2014, but by Spring of 2015, the department store says it will be able to offer more tailored discounts. The personalized experience for Macy’s shoppers will be achieved through data collection. The company will glean as much information about a shopper as possible. By using the app, your shopping-behavior will be monitored and a profile of you will be compiled. Depending on how they have positioned their iBeacons, Macy’s may be able to tell not just that you visited the store, or even the men’s section, but which specific clothing racks. Your iPhone is now listening for iBeacons that companies can place around their stores. These iBeacons broadcast a low power bluetooth signal, and when your phone hears them, it can record the event, and hand it off to specific applications to do things like pop open a discount offer or other message. Of course all this data will be tracked. 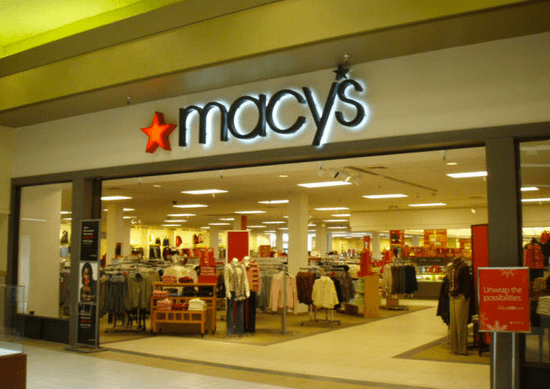 That way, the next time you return to a Macy’s store, the company will know which department you shopped in, how long you stayed in each department, and what, if anything, you ended up purchasing. By knowing consumers shopping tendencies, Macy’s will be able to offer coupons, promotions, and recommendations on an individualized basis, which they’re hoping will translate to more future purchases. These tailored services may make in-store shopping more convenient, but Macy’s will benefit ten-fold in comparison to the benefits shoppers receive. No doubt about it, Macy’s will see a spike in their in-store revenues once the technology is implemented. Tailored ads and services translate to increased profits. Online targeted advertising has played a key role in growing revenues for retailers over the past five years. Now, brick and mortar stores are eager to cash in on the targeted advertising that has in the past been limited to the online world. Technology that was once confined to the web is moving into the physical world, which is always concerning for those of us who value our privacy. The one saving grace about shopBeacon is that it currently it is strictly opt-in technology. To stop tracking in-stores, be sure to never opt into this technology.